Christmas is a time for giving and receiving – and whilst gift giving comes with the best of intentions, not everyone gets it right. 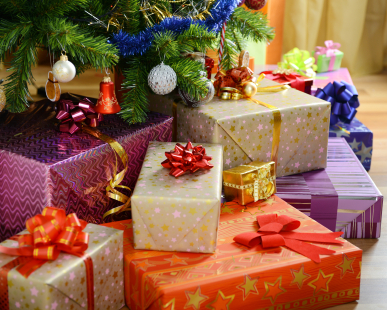 Every year, British households are inundated with presents that may be unwanted and often go unused. However, once the excitement of the festive season has come to an end, there are ways you can re-home your presents without offending friends and family. As a customer you are not automatically within your rights to return unwanted goods – unless they are faulty or damaged. However, many shops have flexible return policies, particularly around the Christmas period. Provided goods are in their original state, stores may offer either a full refund or credit to spend in store. You have a much greater chance of a full refund if you have a receipt; however, you may still be eligible for some kind of refund in some stores without one, but only for exchange or the current value of the goods. If getting a refund is not an option you may like to consider saving the gift to give to someone else. Whilst this may not sound like a great money maker, it could save you from spending more money on birthday presents this year or next Christmas. Just be careful to keep a note of who gave you what, to avoid returning someone’s original gift to them! If you haven’t already got an Ebay account you will need to sign up by visiting ebay.co.uk and following the link to “creating a seller’s account” and following the steps. You can sell your items at a fixed price or in an auction style, whereby the highest bidder gets the goods. It’s important to be realistic when pricing items, try searching for similar items to get an idea of what things are worth. You will benefit from making your page as clear and descriptive as possible, ensuring you upload good quality pictures which make the item you are selling look appealing. Amazon is great place to sell books and DVDs, but also allows you to flog clothes, electricals and other household goods. The website is simple and easy to use, and you can expect to be charged a fixed fee of 86p per completed sale, plus a percentage of the sale price ranging from 11.5% to 17.25%, depending on the item. Gumtree is a website for posting classified adverts and works by grouping these ads into one of 60 cities. This means that you can search for items and services local to you, and also means that there are no online payments as you will usually have to meet the buyer in person to exchange. Gumtree may be more suited to those wanting to buy and sell furniture and larger items, rather than selling those smaller gifts which are more likely to get noticed and snapped up on an auction site.